Owari No Seraph Season 3: Seraph of the End is the meaning of Owari No Seraph, the Japanese manga series which has been developed into an Anime. Shueisha serialized Manga title since September 2012 and released in monthly shonen manga magazine Jump SQ. Its popularity resulted in the formation of the anime adaptation. The first season of the anime raised the expectations bar for the next part. It was highly followed but the second installment couldn’t live up to the expectations set by the previous installment. But, it doesn’t matter that much. Fans are eagerly expecting season 3 to release at the earliest. Earlier, it was expected to be released by the 2016 end. But, it didn’t happen. Owari No Seraph Season 3 Release Date: When is Seraph of the End premiere? 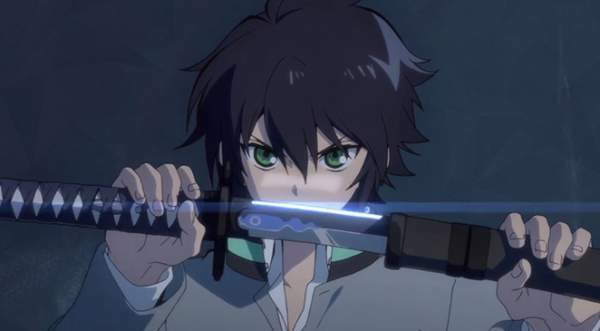 There has been no official announcement regarding the Seraph of the End season 3 release date. But, the sequel is highly likely to happen. Let’s take a simple mathematics to predict the premiere date. The first two seasons consisting twelve episodes aired in the same year. The first one took place from April to June while the second one aired from October to December. So far, the first forty-one chapters of the manga have been adapted into anime. The script for the rest was personally written by mangaka Takaya Kagami. After the first two seasons, fifty-three chapters have been published for the manga series. So, there is plenty of available manga content to be made into anime. The series was later broadcast in the United Kingdom on Viceland, beginning February 14, 2018. 12 episodes can take 20 or 21 manga chapters. Thus, there is a requirement of 8 more chapters to make a whole new season of Owari no Seraph anime. Owari of the End is a monthly magazine so, it is expected that enough material will be available soon, but maybe around the end of September. As of April 4, 2018, the manga had 8.5 million copies in print. Considering the creation speed of manga into anime and then the animation process itself, it is expected that Owari No Seraph season 3 episode 1 anime should get ready to release in Winter 2019. It is the first possible release date. It will be tough to premiere it before that. So, we still have a year ahead and to wait. June 2017 Update: Still, no official information regarding the sequel. The latest report suggests that the studio still hasn’t approached the writer for the third installment. The first possibility is 2018 or beginning of 2019. As of now, enough material is not available to adapt the manga into anime. That’s the main reason of delay. Another reason is that writer wants to create more content and wants the manga to stand in front of anime. It’s because several times animes adapted from mangas gain more popularity. Then, people start neglecting manga as they want to watch anime especially if the animated version’s story goes along with the original one. Other reason is that creators want to repeat the success and even multiply what the second installment received. So, they are looking and working on quality. So, as far as Seraph of the End season 3 release date is concerned, we aren’t going to see it until the start of 2019. It stands as the best choice for all.